Anas is a 5-year-old Muslim boy who was born in a small village in the Iraqi province of Anbar. His father used to have employment and be able to provide for his children. However, this Anas was born with congenital hearing loss, which influenced his speech development, butHowever, his family’s life changed completely in early 2014 when ISIS seized control of the Anbar province. 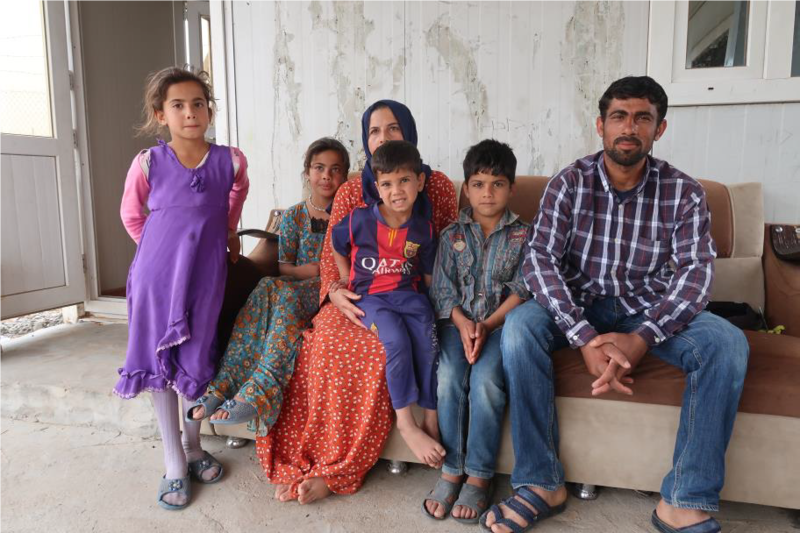 Anas and his family were leading a very difficult life under ISIS oppressive regime, but in their minds there was still hope to escape to Iraqi Kurdistan although that would have entailled many risks. Fortunately in 2016, the family managed to flee and start a new free life in Kurdistan. They found shelter in 2 caravans in a suburb of Erbil. At the age of 5, he was able to say just a few basic words. His parents could not provide him with an adequate treatment neither in Anbar under ISIS control, nor when they moved to Erbil due to lack of financial resources. Because of a difficult situation of the family, Anas and his siblings are not going to school. But their parents hope to continue their education once they will return back to their home. 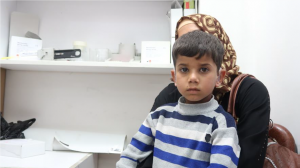 Anas and his father visited our clinic in Erbil in search of help. Thanks to the French Association for the Aid of Youths with Disabilities and People with Handicaps (Association pour l’Aide aux Jeunes Infirmes et aux Personnes handicapées) Anas received the hearing aids which give him a chance to learn how to speak properly and attend the speech therapy.